Across thousands of organisations, tens of thousands of people create process models, and millions use them. Process modelling is important, strategic, expensive, and subject to a wide range of quality outcomes. Done well, process modelling creates valuable organisational assets. Done poorly, process modelling is an expensive way to waste resources and facilitate failure. Poor model quality may lead to poor decision-making and loss of control. Better process understanding improves risk management. Process modelling is a critical activity in every organisation, and represents a significant expenditure. 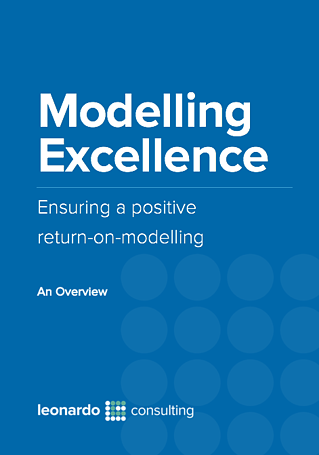 What is the return-on-modelling? Is there a way to ensure the creation of consistently useful process models across the organisation and over time? Yes, there is. Download this paper to find out how.